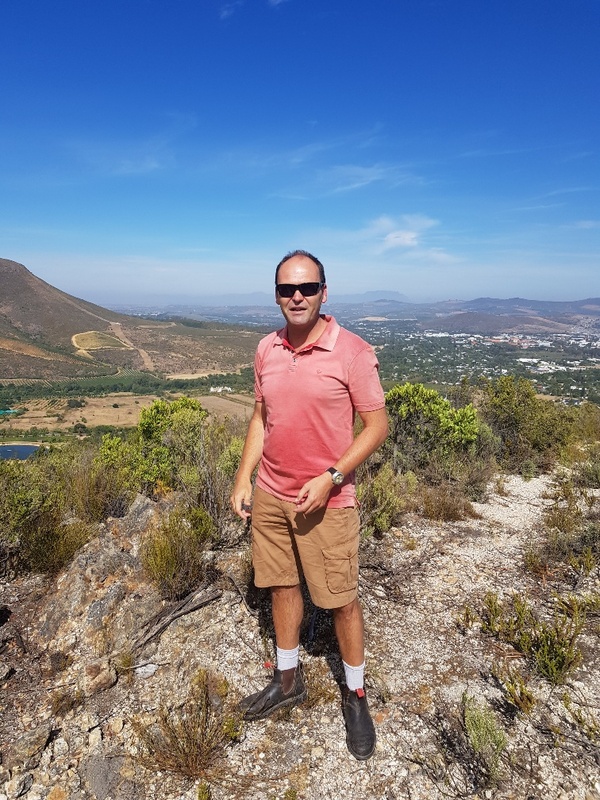 Lategan is serious about his Stellenbosch roots, an origin he is proud to share with Lanzerac, where he has been wine maker since 2005, a tad younger, thus, than the famous Stellenbosch wine estate with a history going back to 1692. Wynand Lategan, Lanzerac wine maker, in his outside office. “Ja, I am pretty much a Stellenbosch acolyte and drum-beater,” says Lategan, whose distinguished career as wine maker was preceded by a stint as financial journalist with Cape Town-based daily newspaper Die Burger. “Working as wine maker at a place with the history and tradition of Lanzerac has made me more devoted to my birth-town. The place has grown and expanded, and has long lost the village atmosphere it had when I was a kid. But you can never change the quality of the wines that come from Stellenbosch. Wine-wise, it will always be the foremost address in South Africa. This talk of wine legends of the past aptly occurs a stone’s throw-away from a Pinotage vineyard. And if there is one wine Lanzerac is these days synonymous with, it is that made from South Africa’s home-grown grape. It is not legend but fact that in 1925 Professor Abraham Izak Perold, then from the University of Stellenbosch’s Department of Viticulture, crossed two grape varieties, namely the royal Burgundian Pinot Noir with the somewhat more workhorse grape Hermitage (Cinsaut). The goal was seen to be one of providing a grape suitable for making a wine showing the elegance of Pinot Noir while being able to withstand warmer weather and bear high yields, something Hermitage has always shown to do well in the south of France. A few decades – as well as Perold himself – passed on before the fruits of his vision found their way into the bottle. And that was with the Lanzerac 1959 Pinotage, the first-ever commercially bottled wine of this variety that has survived controversy, debates and the acerbic pens of critics to become South Africa’s most famous wine offering. Having cemented its reputation with the ground-breaking Pinotage, Lanzerac has gone on to produce a comprehensive range of wines including impressive Chardonnay and a spectacular red blend named Le Général. Pinotage might be a prominent feature, but Lanzerac is no one-trick pony. 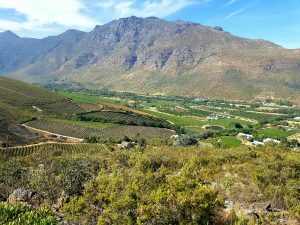 Back down from the mountain, and Wynand’s cellar is abuzz with harvest noise and the pungent, vivid aroma of young wines being born filling the air. We find a quiet spot, a bottle and glasses. The bottle is Pinotage, the one Lanzerac quite aptly named Pionier in honour of Professor Perold but a name that could, in Pinotage terms, also be applied to the winery itself. 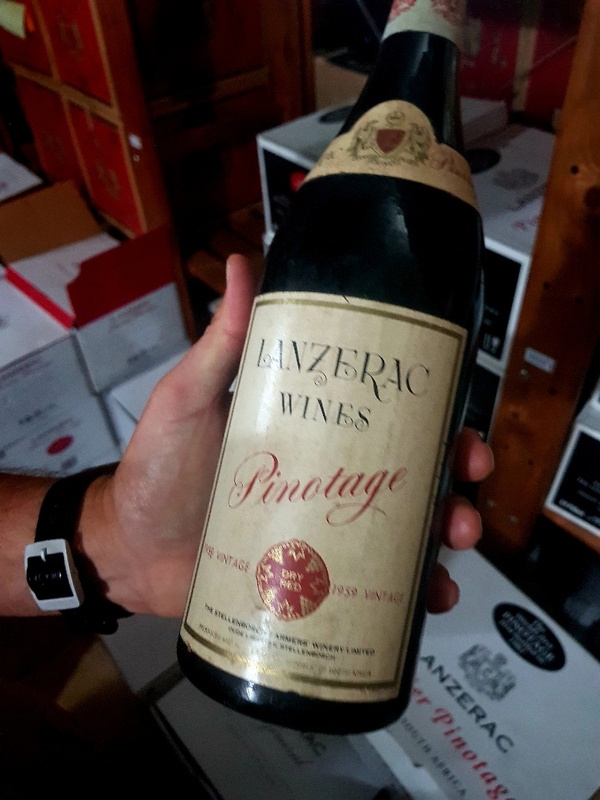 That Wynand and his team have a ballsy confidence in Pinotage is underscored by the fact that the Lanzerac Pionier Pinotage commands a price of R850 a bottle, a price level where it does very well, thank you very much. Lategan does admit that the Pinotage grape is unique, and that’s what he loves about it. The Pionier Pinotage we are drinking is from the comet 2015 vintage. 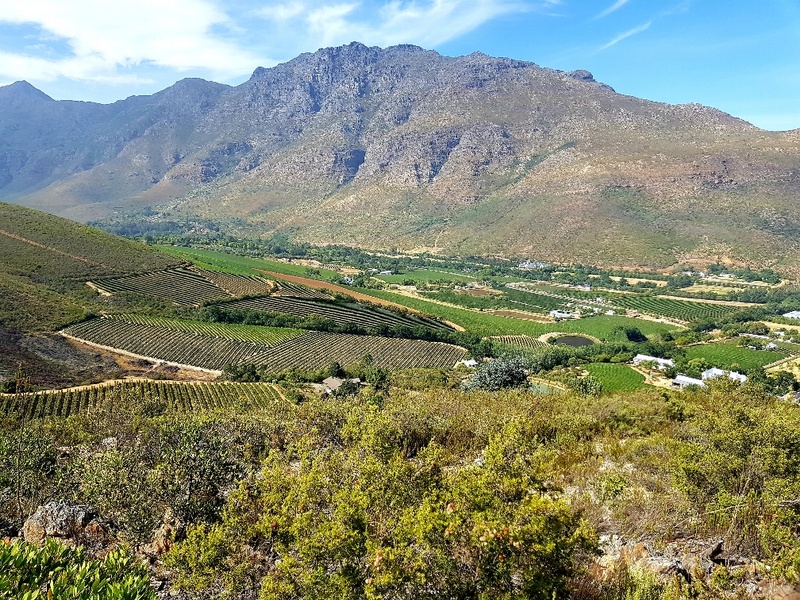 Along with the Kanonkop Black Label, Francois Naudé’s Le Vin de François and Ashbourne from Hamilton Russell this wine is proof that the variety is capable of making some of the world’s finest reds. Period. “That steep price-tag is earned,” says Lategan. High mountain vineyards, modest yield. Meticulous selection of berries. Natural ferment. Just shy of two years in Franch oak, new and second-fill. And then each barrel is scrutinised, only 4 700 bottles making the cut. The pioneer Perold would have approved, and how. Muscular, yet supple with sensually plush tannins complemented by a bright freshness and flavours of cherry and blue-berry. As the wine takes a hold of the senses, the dense palate-weight bears exotic notes of all-spice dried flowers, with a lengthy finish commanding awe and giving an impression of plain deliciousness. That first wine is to be commemorated in 2019 when Wynand will make a special wine to celebrate sixty years of Lanzerac Pinotage. Slight correction: Perold crossed the vines in 1924. He left no reason why he chose those those two. Peter, not according to Pinotage SA’s official website. They have it as 1925.